How the flag that flew proudly over Fort McHenry inspired an anthem and made its way to the Smithsonian. On a rainy September 13, 1814, British warships sent a downpour of shells and rockets onto Fort McHenry in Baltimore Harbor, relentlessly pounding the American fort for 25 hours. The bombardment, known as the Battle of Baltimore, came only weeks after the British had attacked Washington, D.C., burning the Capitol, the Treasury and the President’s house. It was another chapter in the ongoing War of 1812. Smithsonian photographers created this composite image of the Star-Spangled Banner in 2004 from 73 separate photographs. The flag’s large size (30-by-34 feet) prevented photographers from capturing it in one image while conservators worked on it in the specially-built conservation lab. 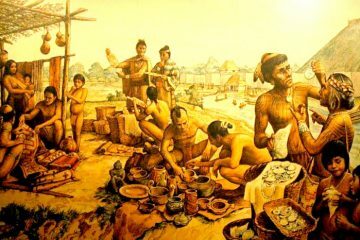 Key put his thoughts on paper while still on board the ship, setting his words to the tune of a popular English song. His brother-in-law, commander of a militia at Fort McHenry, read Key’s work and had it distributed under the name “Defence of Fort M’Henry.” The Baltimore Patriot newspaper soon printed it, and within weeks, Key’s poem, now called “The Star-Spangled Banner,” appeared in print across the country, immortalizing his words—and forever naming the flag it celebrated. 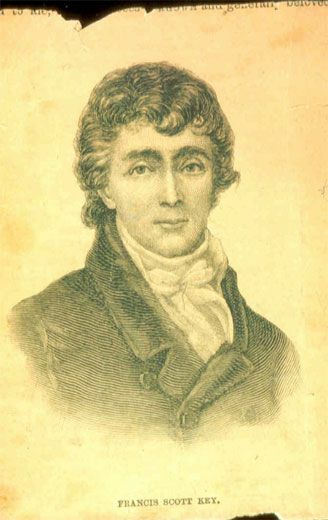 “It seemed as though mother earth had opened and was vomiting shot and shell in a sheet of fire and brimstone,” said Francis Scott Key when describing the Battle of Baltimore. The poem he composed after witnessing the bombardment in 1814 became America’s national anthem in 1931. Nearly two centuries later, the flag that inspired Key still survives, though fragile and worn by the years. To preserve this American icon, experts at the National Museum of American History completed an eight-year conservation treatment with funds from Polo Ralph Lauren, The Pew Charitable Trusts and the U.S. Congress. Started in 1996, the Star-Spangled Banner preservation project—which includes the flag’s conservation and the creation of its new display in the renovated museum—was planned with the help of historians, conservators, curators, engineers and organic scientists. With the construction of the conservation lab completed in 1999, conservators began their work. Over the next several years, they clipped 1.7 million stitches from the flag to remove a linen backing that had been added in 1914, lifted debris from the flag using dry cosmetic sponges and brushed it with an acetone-water mixture to remove soils embedded in fibers. Finally, they added a sheer polyester backing to help support the flag. LEARN MORE What Do States Have Against Cities, Anyway? While the conservators worked, the public looked on. Over the years, more than 12 million people peered into the museum’s glass conservation lab, watching the progress. Armistead soon hired a 29-year-old widow and professional flagmaker, Mary Young Pickersgill of Baltimore, Maryland, to make a garrison flag measuring 30 by 42 feet with 15 stars and 15 stripes (each star and stripe representing a state). A large flag, but one not unusual for the time. Over the next six weeks, Mary, her daughter, three of Mary’s nieces, a 13-year-old indentured servant and possibly Mary’s mother Rebecca Young worked 10-hour days sewing the flag, using 300 yards of English wool bunting. They made the stars, each measuring two feet in diameter, from cotton—a luxury item at the time. 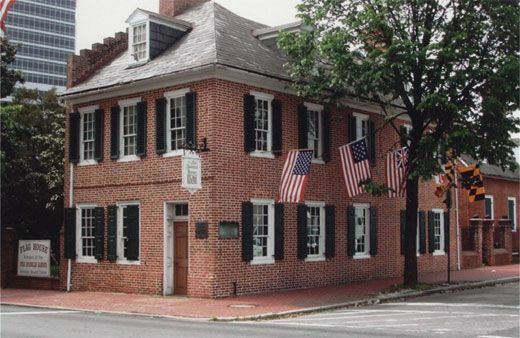 Initially they worked from Mary’s home (now a private museum known as the Flag House), but as their work progressed they needed more room and had to move to Claggett’s brewery across the street. On August 19, 1813, the flag was delivered to Fort McHenry. For making the Star-Spangled Banner, Mary was paid $405.90. She received another $168.54 for sewing a smaller (17 by 25 feet) storm flag, likely using the same design. 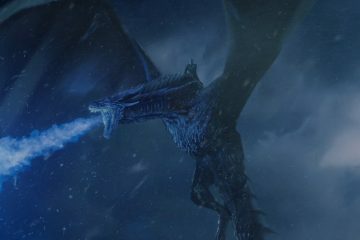 It was this storm flag—not the garrison flag now known as the Star-Spangled Banner—which actually flew during the battle. 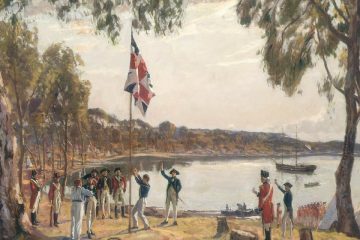 The garrison flag, according to eyewitness accounts, wasn’t raised until the morning. 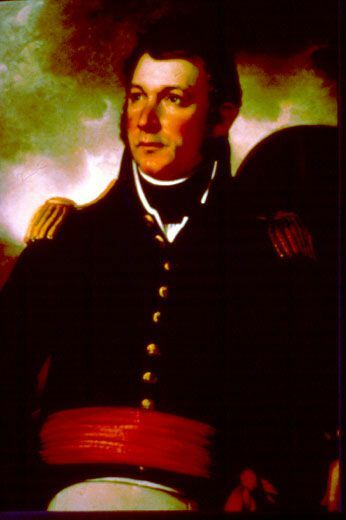 Armistead remained in command of Fort McHenry for the rest of his life. Historians are not sure how the Armistead family came into possession of the flag, but upon Armistead’s death in 1818, his wife Louisa inherited it. It is she who is thought to have sewed the red upside-down “V” on the flag, beginning the stitches for the letter “A.” She is also thought to have begun the tradition of giving pieces of the flag away to honor her husband’s memory, as well as the memories of the soldiers who defended the fort under his command. In 1873, Georgiana loaned the flag to George Preble, a flag historian who until that time had thought the flag was lost. That same year, Preble had the first known photograph of it taken at the Boston Navy Yard and exhibited it at the New England Historic Genealogical Society, where he stored it until 1876. 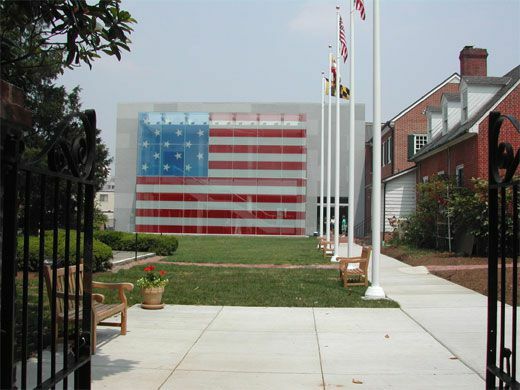 The Flag House and Star-Spangled Banner Museum in Baltimore, Maryland, features a glass window made in the exact dimensions of the flag that flew over Fort McHenry nearly 200 years ago. While the Star-Spangled Banner was in Preble’s care, Georgiana allowed him to give away pieces of the flag as he saw fit. Georgiana, herself, had given away cuttings of the flag to other Armistead descendants, as well as family friends. 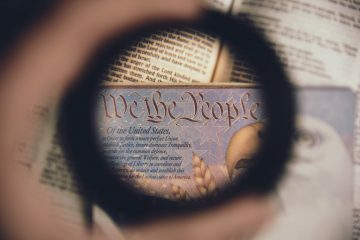 She once noted, ”[H]ad we given all that we have been importuned for little would be left to show.” This family tradition continued through 1880 with Armistead’s grandson giving away the last documented piece, says Thomassen-Krauss. Several of these cuttings from the Star-Spangled Banner have been located over the years, including about a dozen that are owned by the American History Museum. 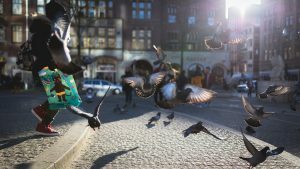 “We’re aware of at least a dozen more that exist in other museums and private collections,” says Kendrick. 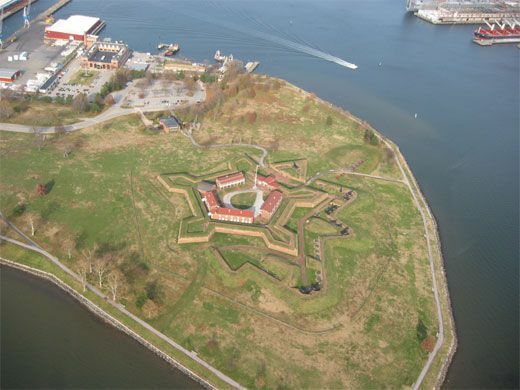 This aerial photo shows star-shaped Fort McHenry, the location of the Battle of Baltimore on September 13-14, 1814. 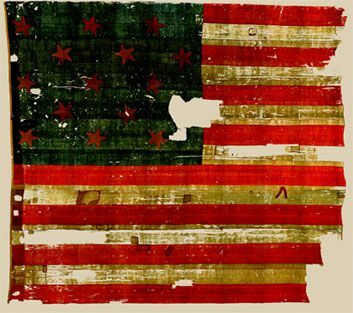 When the flag arrived at the Smithsonian it was smaller (30 by 34 feet), damaged from years of use at the fort and from pieces being removed as souvenirs. Recognizing its need for repair, the Smithsonian hired Amelia Fowler, an embroidery teacher and well-known flag preserver, in 1914 to replace the canvas backing that had been added in 1873. Having worked on historic flags for the United States Naval Academy, Fowler had patented a method of supporting fragile flags with a linen backing that required a honeycomb pattern of stitches. With the help of ten needlewomen, Fowler spent eight weeks on the flag, receiving $1,243 for the materials and work. For the next 50 years, with the exception of a brief move during World War II, the Star-Spangled Banner was displayed in what is now the Arts and Industries Building. Because of the flag’s size and the dimensions of the glass case it was displayed in, the public never saw the entire flag while it was housed in this location. That changed after architects designed the new National Museum of History and Technology, now the National Museum of American History, with space to allow the flag to hang. The Star-Spangled Banner remained in Flag Hall from 1964 until 1999, when it was moved to the conservation lab. This feature is written by Cate Lineberry & originally appeared in Smithsonian.